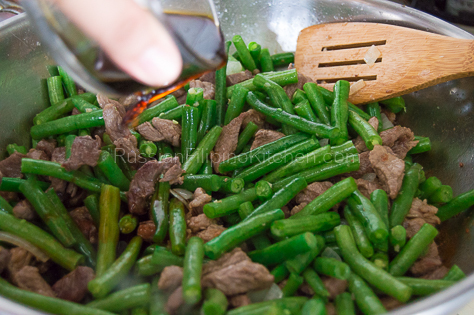 Green beans are one of the most versatile and easiest vegetables to cook. They can be steamed, blanched, battered and fried, grilled, roasted, stir fried, or sauteed. It only take a couple of minutes to prep, add dressings, or season them and right there you’ll have a quick side dish for lunch or dinner. 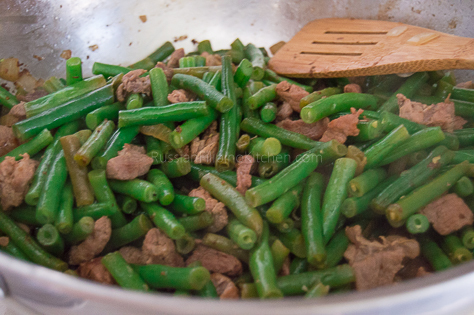 I like cooking green beans with meat to add another layer of flavor. I promise it’s good because I grew up eating this. 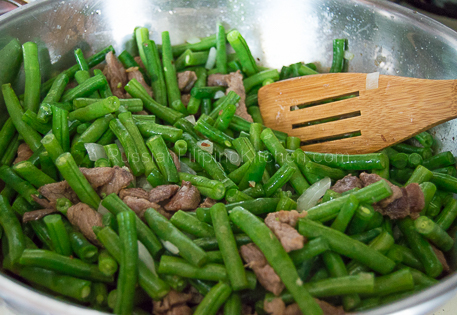 My mom usually cooked this for us when green beans were in season and I remember how delicious it was every time. It made it easier for us kids then to love beans. 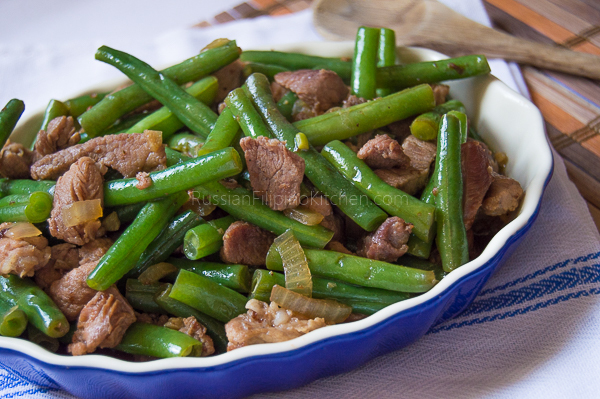 This sauteed green beans with pork recipe is quite easy to make and makes a great “ulam” or accompaniment to rice for your next meal. Enjoy! 1. Slice green beans in half or about 2 1/2 inches length. 2. Peel and chop onion. Also, peel garlic and mince. 3. 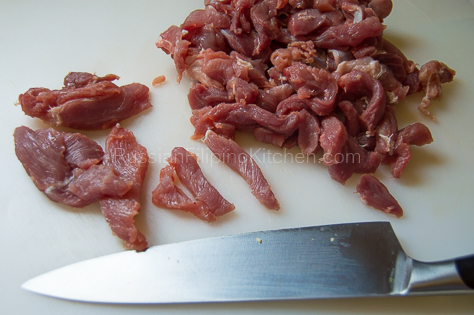 Slice pork into strips into 1/2 inch thick. 4. 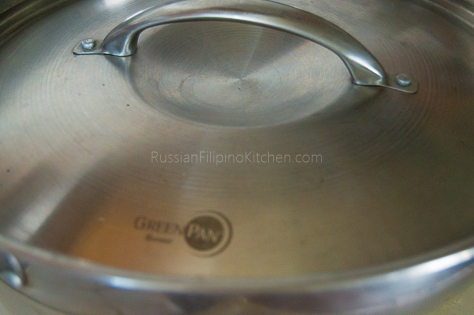 Heat up a large wok or skillet over medium high heat. 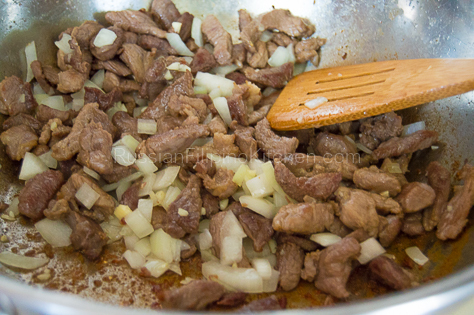 Add 2 tbsp oil and saute pork until browned. After about a minute, add salt. You’ll notice the meat will release some moisture. 5. 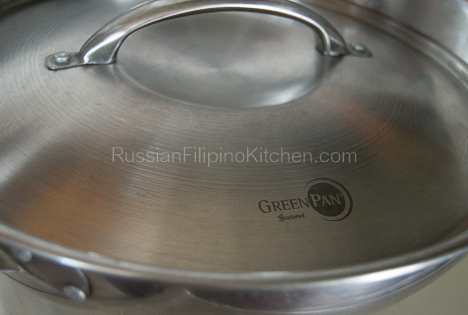 Cover skillet, turn heat down to medium low, and simmer until pork is thoroughly cooked for 10-15 minutes. 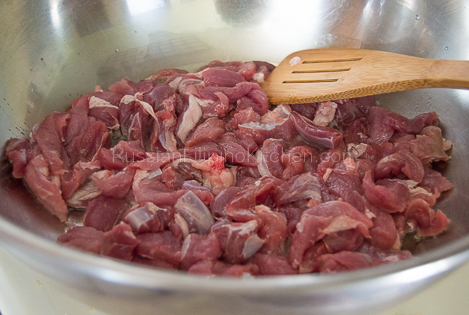 You may have to add more water as needed, 1/2 cup at a time until the meat gets tender. 6. 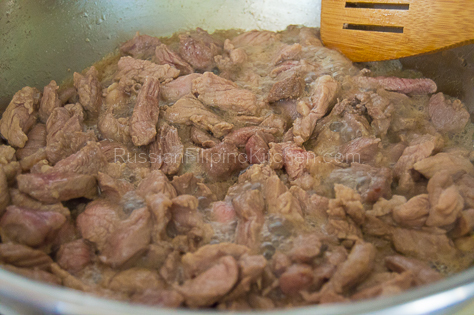 As soon as the water has evaporated and meat has browned, adjust heat to high and add the rest of the oil. 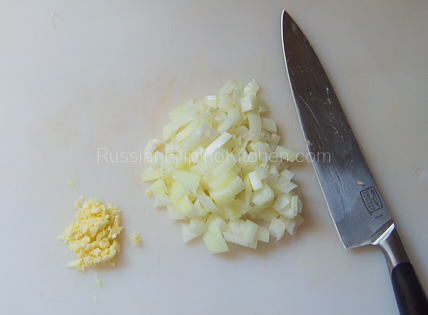 Saute onion and garlic until fragrant (garlic must be browned a little and onions become translucent). 7. 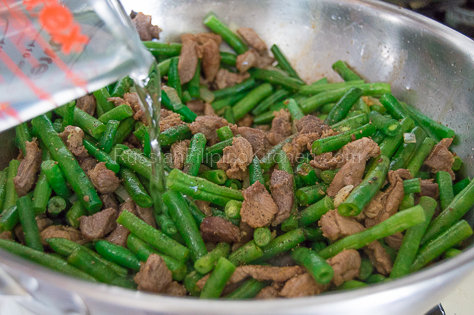 Throw in green beans and saute for a minute. 8. 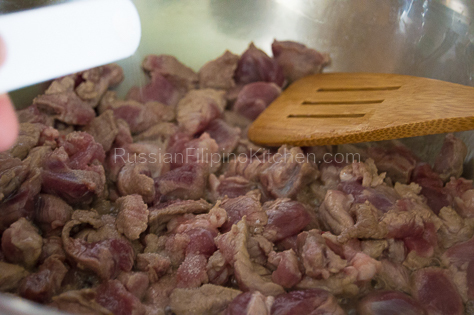 Add soy sauce, ground black pepper, and water, then stir to mix. 9. Cover skillet and cook for 4-5 minutes until beans are crisp-tender. 10. Serve immediately.